Batam bound and without a minute to hang around, the TOP100 party landed in Indonesia for the next round of qualifiers just a few days ago. Some great pitches were made but only four startups rose up to claim the right to pitch at Echelon on May 23-24 and engage in Corporate business matching perks. Among the four was Parakerja, who managed to claim the Judges’ Choice title. They were awarded a free exhibition booth space with five complimentary tickets for e27’s Echelon Asia Summit 2019, a chance to win S$50,000 worth of grant cash, and access to the TOP100 Tour in Singapore. Parakerja is a job training platform for people with disabilities. They want to help job seekers with disabilities overcome these obstacles to become well-functioning workers in the professional world. Starting from humble beginnings as a traditional school for special needs students, the startup launched a digital platform in June 2018. The platform provides a vocational curriculum in areas like culinary, hospitality, entrepreneurship, and automotive. With Parakerja, problems like difficulties in finding work, lack of skills, unemployment, sexual harassment, financial hardship will be but bygones for the special needs population. The company also provides jobseeker services such as certification, work placement, and consultation. Last year, Parakerja collaborated with four special needs schools across three cities and amassed a total of 65 students, 26 teachers, 10 interns. In 2020, the company looks forward to announcing the newest version of its platform which will incorporate white-labelling services. By creating an end-to-end platform that connects, educate, and encourages collaboration, Parakerja is set to defeat societal stigmas, improve lives, and scale greater heights! That’s all for now. But keep your eyes peeled for our next round of TOP100 qualifiers in Bangkok! 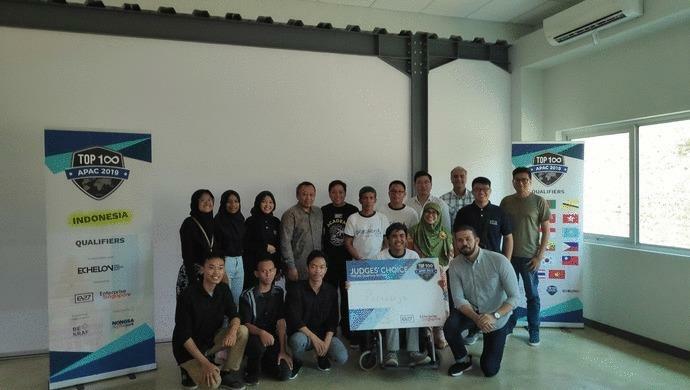 The post Batam’s TOP100 winner is on a mission to destigmatise disabilities appeared first on e27.